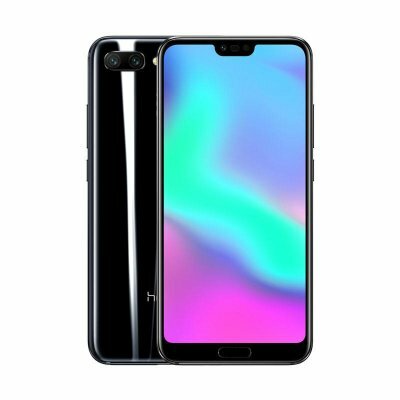 Successfully Added Huawei Honor 10 Smartphone - 5.84 Inch Full View Screen, Octa Core, 6GB RAM, Fingerprint, 24MP AI Camera (Black) to your Shopping Cart. Ultrasonic Fingerprint sensor under the glass enables fast phone unlock, even with wet hands. The Huawei Honor 10 is a powerful Android phone that is capable of bringing forth an extraordinary performance. With its Octa-Core CPU that is capable of reaching clock speeds up to 2.36 GHz, it is guaranteed that this Android smartphone allows you to enjoy the latest and most demanding software features at ease. The mobile phone furthermore holds a stunning 6GB of RAM thanks to which you’ll be able to multitask and use all this cell phone has to offer without dropping a frame. Spoiling you with 128GB of internal storage, you can be guaranteed that this Huawei phone packs all the necessary storage space for all your files and media. Within its stylish and sleek body, this Android phone holds an eye-catching 5.84-Inch display that portraits movies, games, and applications in stunning beauty. Bringing forth 1080p resolutions, you can be assured that this mobile phone treats you with an exceptional media experience wherever you are. Supporting Dual-IMEI numbers, this Android phone lets you be reachable on two phone numbers while using merely one device. This makes the cell phone perfect for those of you that often travel abroad or wish to separate work and private life in one Android device. Additionally, it also comes with 4G and Dual-Band WiFi, bringing along ultimate connectivity no matter where you’re at. With its 3400mAh battery in place, this Android phone treats you with up to 5 hours of continuous usage time. As a true flagship smartphone, this stunning Android device packs a 24MP+16MP New Dual AI Camera，F1.8 Wide Aperture and Cutting-edge AI algorithm instantaneously pairs subjects with their optimal camera settings according to the context of the image. Faster and more efficient AI algorithm performance backed by an independently built-in Neural Processing Unit comes with updated face recognition and facial modeling. Plus, the AI-powered system creates professional studio lighting effects.